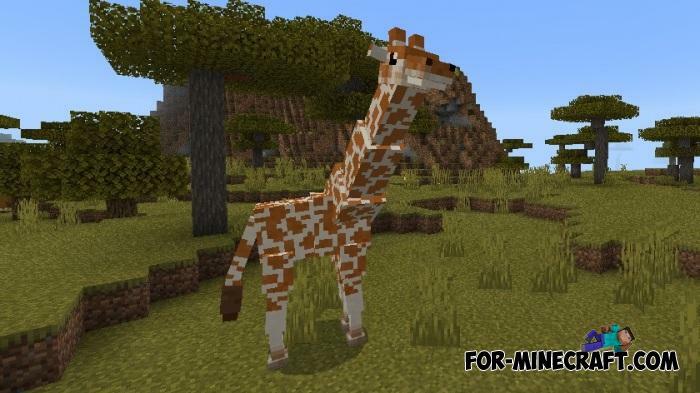 It is rumored that giraffes may appear in Minecraft Bedrock 1.12.0 this year as one of the biome innovations. 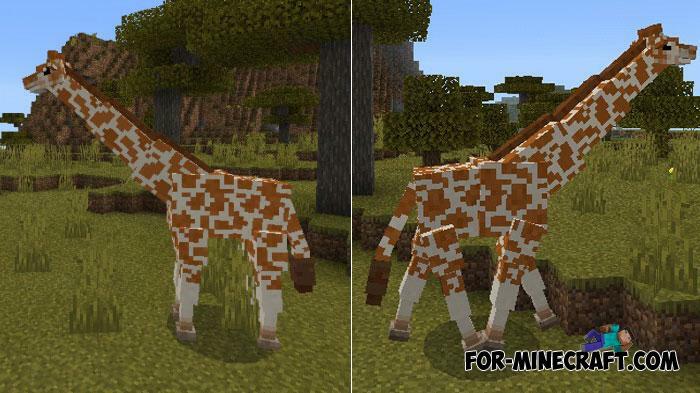 While Mojang is thinking and planning the next update, Jean Lucas decided to add realistic giraffes to Minecraft PE without the participation of the developers. At the same time, the giraffe from this addon is an individual mob, which has several excellent features and cannot be called a blank. The first thing that catches your eye is animation. The giraffe neck moves and instead of the ridiculous and square mob you will see a rather realistic animal. In addition, as in our world, giraffes live in savannas where it is very hot. Send there to find one or more giraffes and also to see their small babies. When you approach it, you will hear sounds, and if you decide to feed it, use wheat. They are neutral to all who are not aggressive. 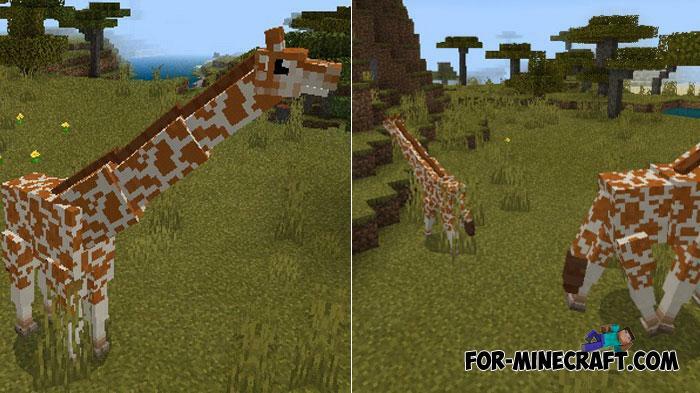 How to install the Giraffes Mod?